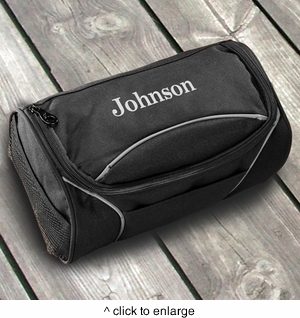 DETAILS: Our personalized canvas travel kit is well constructed and made to use. The kit is compact but still roomy enough to fit all of your bathroom travel essentials. Made of Polyester Canvas and embroidered in one of our 20 signature thread colors.